Physicians fear new rules adopted by the Texas Health and Human Services Commission (HHSC) Office of Inspector General (OIG) could threaten innocent practices and cut off access to care for thousands of Texas Medicaid patients. The new rules cast every Medicaid billing error as a possible target for fraud-and-abuse prosecution without due process. Glenn Wood, MD, knows all too well about unjust fraud investigations, as he is a current victim of overreaching OIG scrutiny. Dr. Wood established six Carousel Pediatrics clinics that provide care for 40,000 Medicaid children in Central Texas. 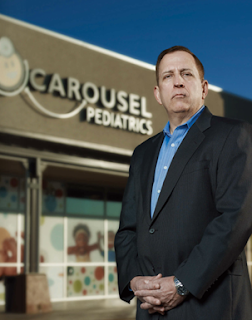 Last fall, OIG reviewed a fraction of Carousel Pediatrics’ patient records spanning from 2007 to 2011 and informed Dr. Wood he owed the state $18 million for overbilling and $4 million in penalties. Even after review of his records by multiple outside sources showed no indication of fraud, Dr. Wood has yet to receive full payment from the state for services to Medicaid patients. As a result, he was forced to close three clinics in the Rio Grande Valley, lay off 20 percent of his staff, and temporarily close an Austin clinic. Dr. Wood is not alone in his ordeal. Kaufman pediatrician Charles Turner Lewis, MD, battled fraud allegations by OIG from 2005 to 2008. After years of fighting the allegations, a judge ruled in Dr. Lewis’ favor. The persecution took an emotional and financial toll on Dr. Lewis, who ended up draining his savings and retirement, and taking out a second mortgage on his home to keep caring for his patients. For the complete story, read the December issue of Texas Medicine magazine.